Welcome to a brand new week and a brand new month! Ahh I love a fresh month especially this one as it’s a month of new beginnings with the kids going back to school on Tuesday. 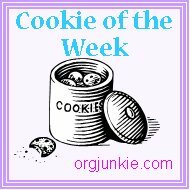 Today I made some delicious cookies and am bestowing the honor of Cookie of the Week to my friend The Queen B. Oh my heavens, these are not to be missed. You have just got to try B’s Best Cookies Ever. The secret ingredient happens to be coconut which I love but Queen B, who isn’t normally a fan of the coconut, says she still loves these little clumps of goodness! I couldn’t agree more! Last week I made the Roasted Pepper Ravioli Bake (which was awesome!) and the recipe taught me how to roast peppers. Who knew it was so easy to do? So I went back down to the grocery store and bought another bag of peppers (on sale for $3.99 a bag) and will roast up those to put away in the freezer. After a little googling I found out that you can roast the peppers and then just freeze them whole with their skins still on for future use. Talk about feeling domesticated…lol. If you haven’t had a chance yet be sure to check out our Family Favorites Recipe Index. Sunday: If you can find it, you can eat it cause this momma ain’t cooking! Menu Plan Monday guidelines and banner selections here. Those pineapple sirloin kabobs sound scrumptious! Those might be on my menu next week! Those cookies do sound nice. Will have to add them to my “To Cook” list. Oh the pineapple sirloin kebabs sound delicious..hmm might have to try them later this week..Thanks for hosting.. Your menu sounds yummy. We are having meatloaf also. I am going to bookmark that cookie recipe as I am going to start baking much more now that summer is ending. Have a great day!! I’ll be checking that family favorites box soon! I have found some wonderful new recipes from your menu plans over the last few weeks. The kabobs look good. Thaks for sharing. I love a new month too! And can you just smell fall coming? Ohhhh it’s getting exciting. 🙂 I posted some recipes to help moms packing lunches for the gluten-free diets. I make something similar to the ravioli bake- I may have to try adding the peppers next time! Sounds so good! I found our website last week and have enjoyed reading through all the recipes. I am excited to join in this week! If we were eating cookies (any sweets, really) I’d make those cookies in a heartbeat. But, they look so scrumptious that I saved the recipe. Maybe at Christmastime I can use hubby’s office for an excuse to make some! Your menu looks wonderful, I am a sucker for anything-kabob! Seems meatloaf is the hot item for this week! I am making it for supper tonight. Great sounding menu! Posted this week: A vegetarian, mostly make-ahead menu. The meatloaf looks delicious! Have a great week! Mmmmmm. I just checked out that ravioli recipe. I may have to file it away for next week. It looks yummy! Good Morning & Happy Labor Day! I apologize. When I did the Mr. Linky, my name was in from something I did on Saturday, so it shows “1st time”, which it isn’t. Sorry! Any way to correct that? Meatloaf is even yummier when you add a cheese-stick into the middle! I am adding the Mexican Chicken Soup to next weeks menu. It looks yummy! I’m craving meatloaf too, and I don’t even like it that much! lol. Sounds like a yummy week at your house. I love this month … great menu planning! I love getting new recipes!! The corn and bean salad sounds great. We might try that next week. I can’t wait to check out some other folks’ menus…but alas, I still have packing to do. 🙁 Plus I have to drive to my inlaws to pick up the kiddos today (one hour each way) so that puts me even farther behind on my packing. Anyway…my menu is super simple this week b/c of the moving, but it will work. I dont’ have recipes up yet, but I will get them posted tonight. It is surprising how easy it is to roast peppers though I still wimp out sometimes & buy them in a jar. oh. my. goodness. cookie heaven. I love your site! I’d love to participate in MPM, and probably will once I get myself a bit more organized. Thank you so much for all your recipes links. I love to cook for my family! 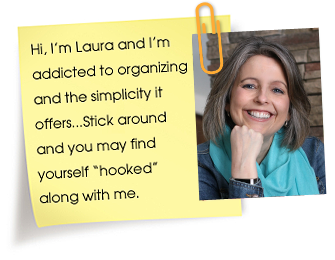 Your menu plan sounds great! I am definitely going to be trying one or two of your recipes! I put my menu plan up at my diet blog this time! This is my first time linking up with you on this!! I have been doing this faithfully for three weeks and am excited to get on board with these links!! Thanks! I’ve been gone awhile, but I’m back! Menu is up. Well, I have posted mine!! Take a look and let me know what you think. Most are done in the crockpot/slow-cooker, so simple and time saving!! The spicy southwest bean & corn salad sounds really good!! Hi I am looking forward to menus planning with you all and getting lots of inspiration to feed my family. A day late, but mine is up now. Those cookies look sooo yummy, by the way! i apologize… i posted the wrong link first!!! The second one has the correct link for this week!!! 🙁 Sorry!!! OK – a day late, but its up! Thank you to all of you who are helping me get organized and become a better mom and wife! I subscribed to listplanits and I have now started planning our meals for a month! I felt so organized at the grocery this past weekend with my list and menu and I will start posting my menus soon also! Thank you again for providing a place where we can get organized and share! I’ve been menu planning through this site for awhile now, but am just now joining in. Thank you SO much for inspiring me to plan it out. Short week this week for me. I’m a little late posting, since we took yesterday off to relax and visit family. I liked this very much the first week – week 2 will be even better! Day late here … I’m doing the Cranberry-Chipotle Turkey again this week (link included) – it was FAAAABULOUS last week!! 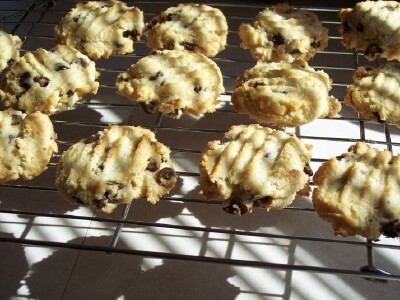 I made those cookies – FABULOUS!! Thanks for the recipe. Hi,I’ve just started menu planning and have found your website very helpful and full of lots of ideas. I’ve added a link to my menu planning post on my blog but think i’ve put myself on twice oops. can you delete the one that does’nt link to the menu planning post? I will be back on for next week!!!! I blog often and I truly appreciate your content. This great article has really peaked my interest. I’m going to take a note of your site and keep checking for new information about once per week. I opted in for your RSS feed as well.